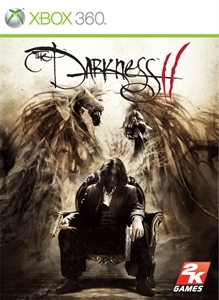 The Darkness II continues the story of Jackie Estacado, a man who currently possesses the evil entity that is the Darkness, and takes place years after the events of the first game. Now the Don of his Uncle's crime family, Jackie slowly begins to adjust to life after he suppresses the Darkness when he is ambushed at dinner by armed men, who were under the orders of a mysterious group called the Brotherhood. While Jackie has kept the Darkness suppressed and doesn't want it out, he has no choice but to unleash it once again to combat the Brotherhood, who seem to know quite a bit about the Darkness. Jackie also has to deal with Jenny, who he still can not get out of his mind. While the campaign is a bit shorter than the original game, it is still worth checking for fans of the comic and original game, as well as action game fans. Quad-wielding is a term used by the new developers, Digital Extremes, and fits the game perfectly, as you can use both darkness arms and dual-wield weapons, all at the same time. It sounds complicated, but it is set-up pretty well. 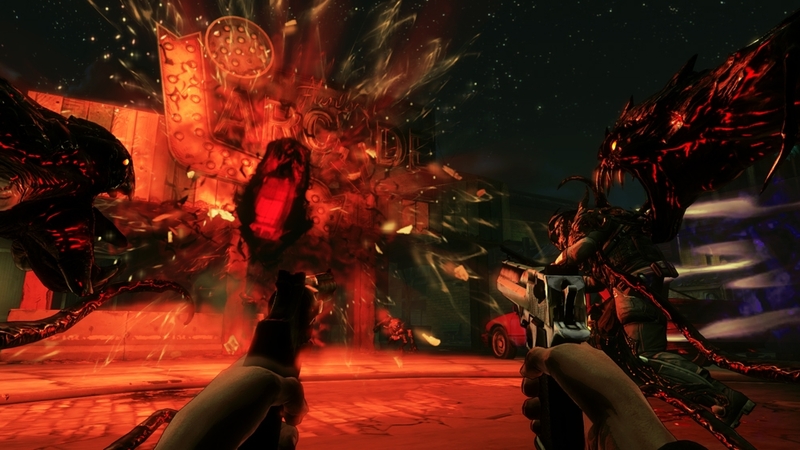 The triggers are used for aiming and shooting both guns, while the bumpers control the separate demon arms. Upgrades are available too, and collected essence from kills and collecting relics help power up Jackie. Darklings return to aid Jackie, and can even be thrown at enemies, or just up in the air for hilarious reactions. The look of the game has changed as well. It reminds me of Borderlands, with it's cel-shaded esque visuals, which help make it feel like a comic since the Darkness games are based off of one. It's really colorful but not enough to distract from what you're supposed to be doing, and helps amplify the violence as the game is pretty bloody. Executions are a back in a big way, and offer up more essence based on the variation of kills and executions used. 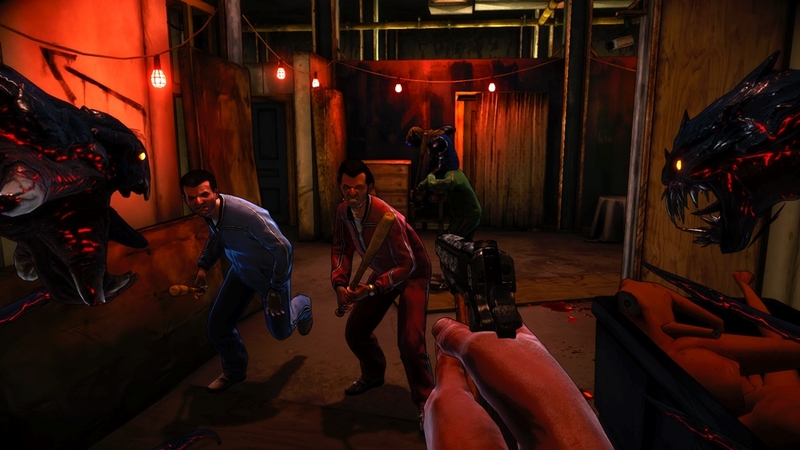 Competitive Multiplayer has been removed in the Darkness II, and instead there is Vendetta and Hitlist, two primarily co-op modes that help fill in bits of the main story. In these modes, you'll play as four unique characters who possess specific Darkness abilities. Jimmy Wilson for example, has the ability to summon Darklings while wielding his throwing axe, and the sword toting Inugami has the ability to create a swarm of darkness, giving players a chance to run in with his sword, the Kusanagi. Vendetta is the co-op story mode, while Hitlist focues on set missions to complete. Upgrading is available to co-op as well, and carries over when playing alone or with three others. No online pass either, so new, used, or rented, anyone can check out these modes. The story mode took me about two days to finish, and I clocked in about 7-8 hours of play. The co-op mode actually seem to be a bit longer, and encourage re-playability. Speaking of re-playability, there is a New Game+ for the main campaign, so you can go through with all of your upgraded abilities and try them out on a higher difficulty. 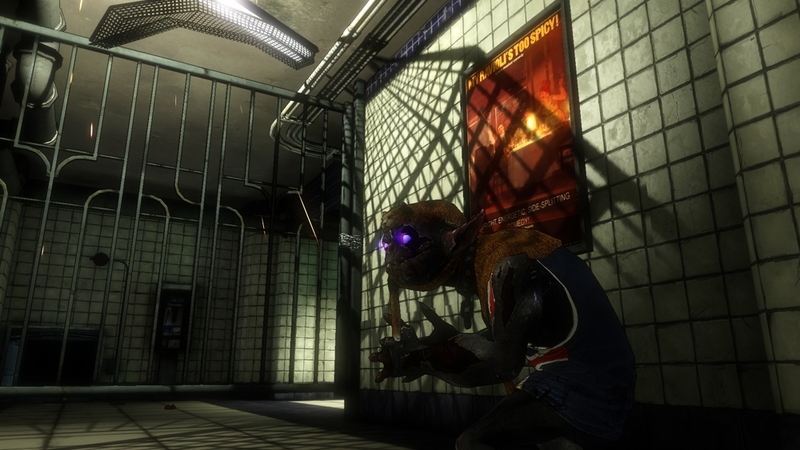 Overall, The Darkness II is a solid sequel, but is less linear than the original game. Digital Extremes still wanted to cater to original fans, but also introduce the Darkness to new players, so that may be why certain elements of the original were changed. 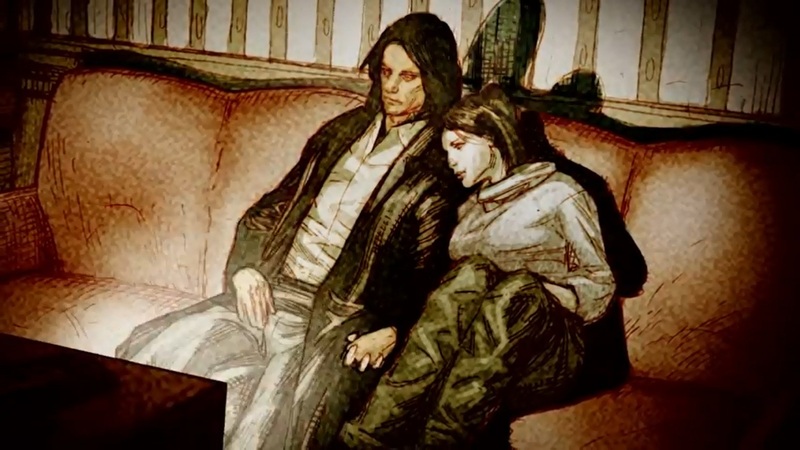 I loved the first game and enjoyed the Darkness II, and would recommend it to players looking for something new and original fans who want to see the continuation of Jackie's story. "The Darkness II is an intense first person shooter that puts you in the role of Jackie Estacado, don of a NY crime family and wielder of an ancient supernatural force of chaos known as The Darkness."